It's Friday and it's time to do a little shopping. I love celebrating new years, making goals and reflects on the year before. 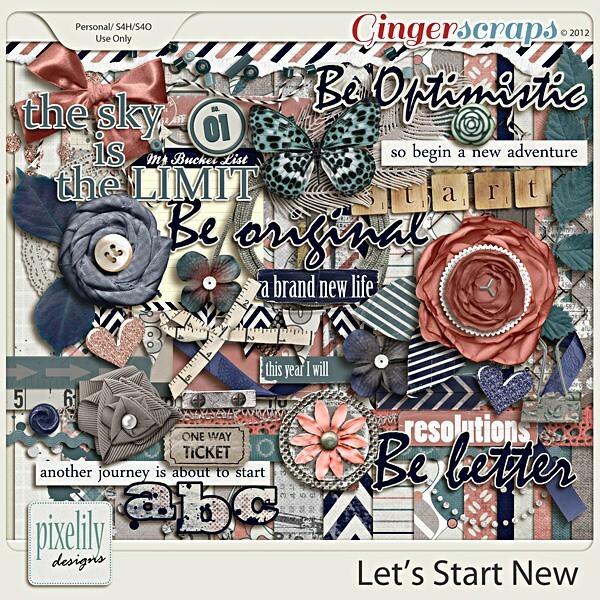 Lets Start New is a new kit from Pixelily Designs which is perfect to document your new year and a new beginning. These are my layouts using the above kit. Hope this will inspire you to document your new year and your goals formthis year.